You can quickly see what an active questionnaire looks like to patients. 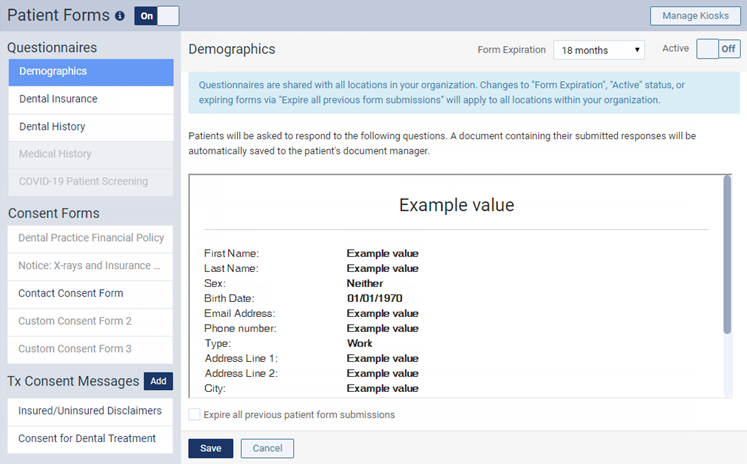 On a location's Patient Forms page, under Questionnaires, select a patient form: Patient Demographic Information, Insurance Information, Dental History, or Health History. Scroll the Example value list as needed to see all the questions on the form.